The Dar Palm gold finish palm tree base only is made from hand cast resin and features a detailed palm tree as its stem. 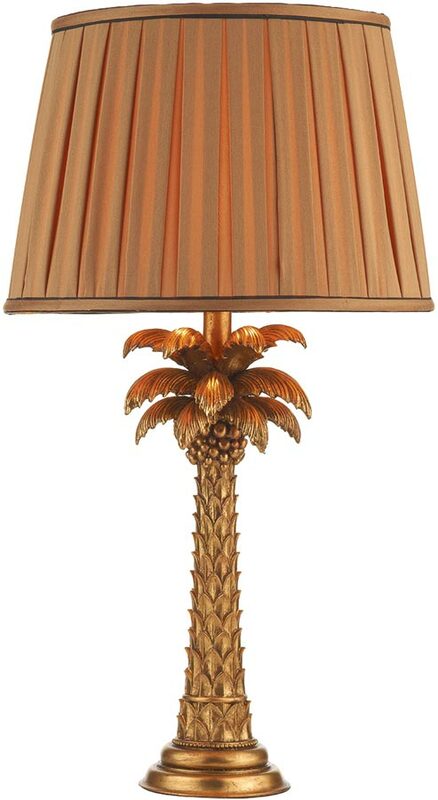 Circular base and detailed tapered stem with coconuts and upper leaves. Shown here fitted with the Howard shade (HOW4235RS/X) which can be viewed below and is available to purchase separately. A great choice for the traditional or contemporary setting and fitted with a lamp holder mounted slide switch. Please note that the dimensions given are for the base only and do not include a shade.